Aycliffe Business Park software specialist, Excelpoint has announced it is on target to realise a 100% increase in sales by the end of its financial year. As a key player in the global no-code systems and process automation market, Excelpoint has built its success and reputation on supporting its customers to streamline and automate business processes, helping them to realise process efficiencies and significant cost-savings. In recent months, the business has won a number of high-profile customers to add to its growing portfolio. Excelpoint’s software is currently utilised across numerous sectors including engineering, manufacturing, oil and gas, the NHS, local and central government, construction, utilities, nuclear, energy, mining and the service sector, and is used by organisations of all sizes from SME’s to global business brands recognised worldwide. As an award-winning software developer, Excelpoint understands every business works differently. Their consultants work in partnership with customers to deliver and implement cost-effective automated software systems. What differentiates them from their competitors is they can process map, configure and implement software within just a few days or weeks. They are also unique within the software sector as their platform creates customerspecific automated business systems without writing a line of code, saving customers valuable time, money, resources and future proofing the software. 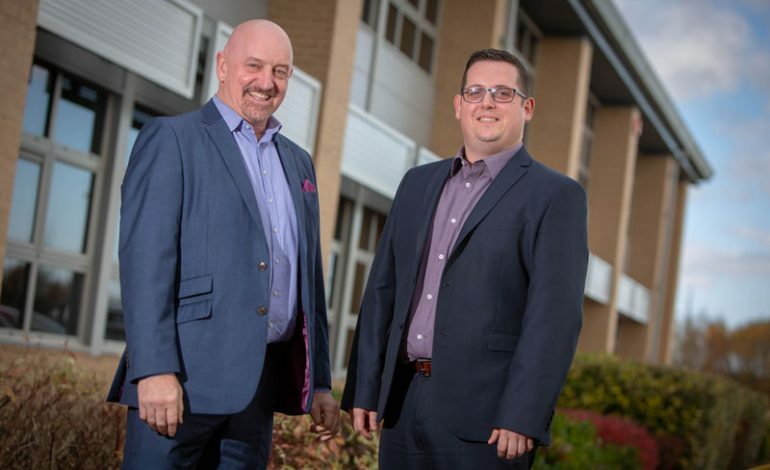 Managing director Ian Brown, pictured above (left) with business consultant Oliver Warren, explains: “What makes us stand out is that we offer a system that can manage all business processes which include CRM and sales management, inventory control, manufacturing process, risk management, planning and resourcing, distribution and North East software innovator Excelpoint is on target for record growth customer service, amongst others. Our software can be configured to meet the needs of any business model. “For example, we developed a fully automated software system for Polar NE to eradicate the inherent workarounds, providing real-time data and full visibility of their order pipeline. The new system enabled them to match resources to projects, improving efficiency and enabling them to deliver a first-class service. 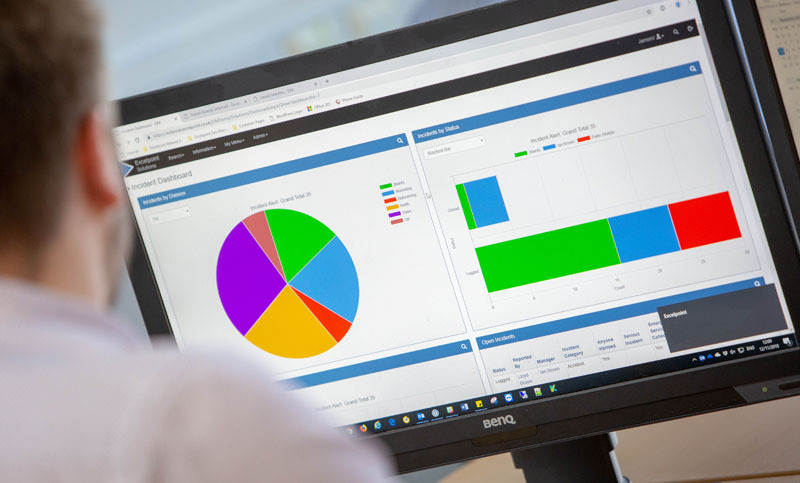 The Excelpoint technology is also very strong at protecting investment in existing systems enabling integrated business processes that will embrace current information and negate or minimise retraining needs. The software is an easy to use platform which will assist organisations to enforce compliance with best practice and approved processes regardless of location, and will transform the way information is collated, integrated, used and reported. It also enables users to access the system from any device enabling field-based users to comply with processes. Anglian Water, Mitie, Hanson UK, Belfast Health and Social Care Trust, Balfour Beatty, Durham County Council, Stonbury, Taylor Hobson, Aura Infection Control, Stuart Hall & Co and Supportive. 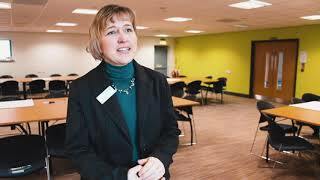 On Aycliffe Business Park, customers include Ebac and Xcel Centre. Introduced real-time forecasting, quotation and opportunity management systems underpinned by CRM to embrace Minova’s best practices. The global senior management team now have visibility of reliable and consistent information. The systems and processes are now legislation driven and minimise the effect of change. The system guides user communities through obligations to enforce compliance. Users and senior management now have a controlled method of reviewing information that affects decisions across various parts of the reprocessing facility. Software and a mobile app were implemented to control workflows, speed up processes and deliver efficiencies to Wood and their tier one and two clients within Royal Navy dockyards.